The last thing you need when you’re getting ready for a fishing trip, game of golf or road trip is a battery that doesn’t power your application effectively. Lead acid batteries are increasingly losing trust among consumers who demand more efficient power from their battery. LiFePO4 batteries are one of the most durable and reliable energy sources on the market. And, they're perfect for powering all of your adventures. Take the next step in green energy with rechargeable LiFePO4 batteries. Upower Ecoline is the global LiFePO4 battery maker for all of your stored energy needs; manufactured to meet your specifications in their applications and services. Electric vehicles are not only used for recreation, but often provide a means of transportation. When you need to get to work or make an appointment, you don’t have time to wait for your eBike’s battery to charge. You don’t want to be stranded on the 14th hole with a golf cart and a dead battery. Unfortunately, your dated lead acid battery may not have the power to take you through an entire game of golf. Lead acid batteries lose capacity as they age. After two years of use, you may need a new battery to make it to the 18th hole and back. On the other hand, a rechargeable LiFePO4 battery delivers consistent power for years after your initial purchase. You save money on replacement costs, and you reduce wear and tear on your golf cart with lithium’s lighter weight. Rechargeable LiFePO4 batteries allow boaters to spend more time on the water. With a higher usable capacity, you’re able to extend your fishing trip or travel the extra mile to reach that island you’ve always wanted to explore. Plus, lithium’s lighter weight reduces your boat’s draft, making it easier to navigate shallow waters. Instead of docking your heavy electric boat at the pier, power it right up to the shoreline. In critical situations, military vehicles need a reliable source of power that won’t jeopardize a mission. LiFePO4 batteries deliver the same level of power throughout discharge, so you make it to your destination without slowing down. Whether you’re traveling across the country in your RV or just enjoying a camping trip a few hours from home, you must have an efficient source of energy to power your lights and appliances. You may not have access to electricity for much of the time, so you need a long-lasting battery solution. Rechargeable LiFePO4 batteries won’t leave you in the dark. It’s a scary experience when your electric wheelchair or scooter loses battery power while you’re away from home, especially if you’re on your own. A rechargeable LiFePO4 battery is the most reliable solution. With a higher usable capacity and more power than lead acid alternatives, you’re able to reach your destination and then get home safely.  Lithium’s lighter weight also makes transporting your mobility application manageable. Without a heavy lead acid battery, it’s easier for a friend or relative to lift your wheelchair into the back of a car and take it out when you’re ready to go. Lightweight and rechargeable LiFePO4 batteries give your powersports vehicles a competitive advantage during races. By reducing your vehicle’s drag, lithium allows you to accelerate more quickly at the starting line. Your "holeshot" is a vital moment during motorcycle or power boat races. A fast reaction on the starting line often makes the difference in winning your competition. Whether you have engineered your own vehicle or own a product that needs a unique battery, custom battery packs are available for any LiFePO4 battery application. Consult an expert to design the perfect battery for your electric golf caddy, eBike, electric kayak and other products. Storing solar energy is simpler with a rechargeable LiFePO4 battery. In a power outage, you have a backup source of energy to use for lights and appliances. Forget about driving to the gas station after a snowstorm or hurricane to buy fuel for your generator. You may also choose to avoid high home energy costs with your lithium power source. Store solar power while energy prices are low, and save money by switching to your lithium battery during peak hours. Lithium is the most dependable choice when you need consistent voltage delivered to your uninterruptable power supply (UPS) and switchgear systems. Whether your systems are used to power computers, data centers or telecommunication equipment, you can’t afford an unexpected battery failure. Rechargeable LiFePO4 batteries are more durable than lead acid alternatives. Due to electrolyte loss, lead sulfate deposits and shorting, there’s a higher risk that your lead acid battery may fail, endangering your mission-critical systems. Lithium batteries charge far more quickly than lead acid alternatives and offer more hours of use. Whether you’re riding around the city or along a suburban road, you can trust your battery to take you where you need to go. 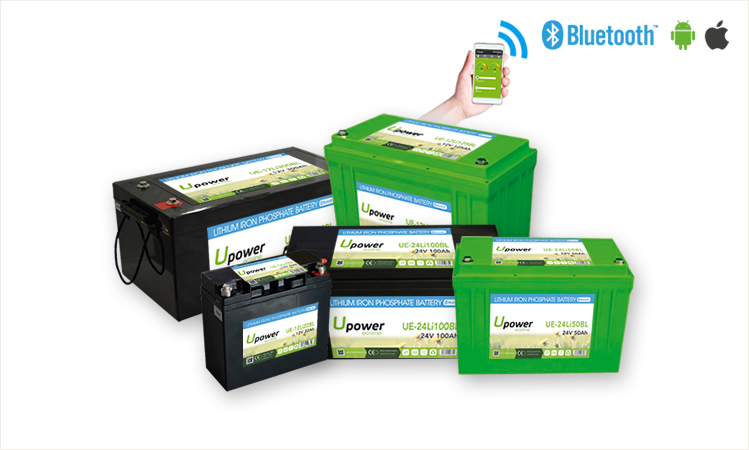 Every Upower Ecoline lithium battery utilizes LiFePO4 chemistry. LiFePO4 cell design includes various safeguards including high temp thermal fuse, flame retardant additive and pressure relief valves. Our cells meet UL, UN, CE and ROHS certifications. A Upower Ecoline lithium battery lasts 10x longer than a lead acid battery. The life span of a battery is typically measured in cycles. A Upower Ecoline lithium battery cycles 5,000 times at 100% DOD compared to a typical lead acid battery that cycles 500 times at 80% DOD. Upower Ecoline lithium offers a significant advantage over lead acid when comparing total life-cycle costs. Lithium holds a clear advantage over lead acid in replacement cost plus the added benefit of significantly reduced charging expense. Upower Ecoline has developed a strategic distribution network with lithium product available in distribution centers located on each continent. We have what you need when you want it! Conveniently, Upower Ecoline lithium batteries are designed to work with typical AGM chargers. Since the LiFePO4 charging profile is very similar to AGM, most chargers and battery inverters will accommodate our battery. If our many standard sizes do not fit your application, our engineers can customize a solution to fit your needs. Our ISO 9001 certified manufacturing process is continually reviewed and updated to deliver the best product quality in the marketplace. Some of Upower Ecoline's endless applications include marine, solar, golf, electric vehicles, RV, security, proprietary custom packs, UPS & switchgear, and military.